I have three new pieces in the Fresh Air show. All three pieces are knit based but have strong references to landscape and geology. 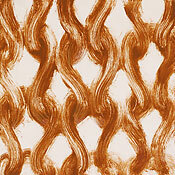 Knit Stratum VII is shown here. It is a monotype that I worked on at the Virginia Center for Creative Arts during my residency there in 2009. I think of the layers in the ocean and the land. Monotype is a print medium whose simple concept, spontaneous process, and elegant results have attracted artists for years. 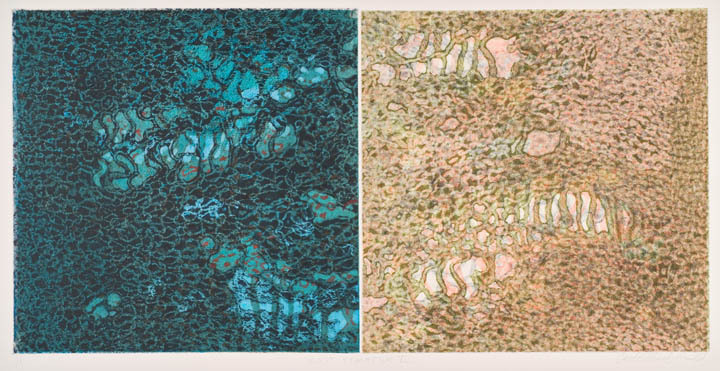 Monotypes are unique prints made by the direct transfer of an image. Workshop includes demonstration of different monoprinting techniques using an etching press and fully supported studio time to work on your own images. Price includes all inks, paint and up to five 22”x30” pieces of print paper. A paper fee may be charged for additional paper.